Before I started the book, I'd long planned to write about Foxwothy, and I wanted him to have the first name of Fenton—which is not the one he would have chosen for himself. I put it in an earlier book, locking myself into the choice. So I began the book using his last name, which suited the character better. Writing his view of his name into the novel was an enjoyable moment for me. Foxworthy likely would not have forgiven me for the grief I've given him the three books he's in, yet he endeared himself to me long before this book began. In The Wallflower Duchess he's slapped. In the first chapter of The Notorious Countess his cousin is trouncing him. 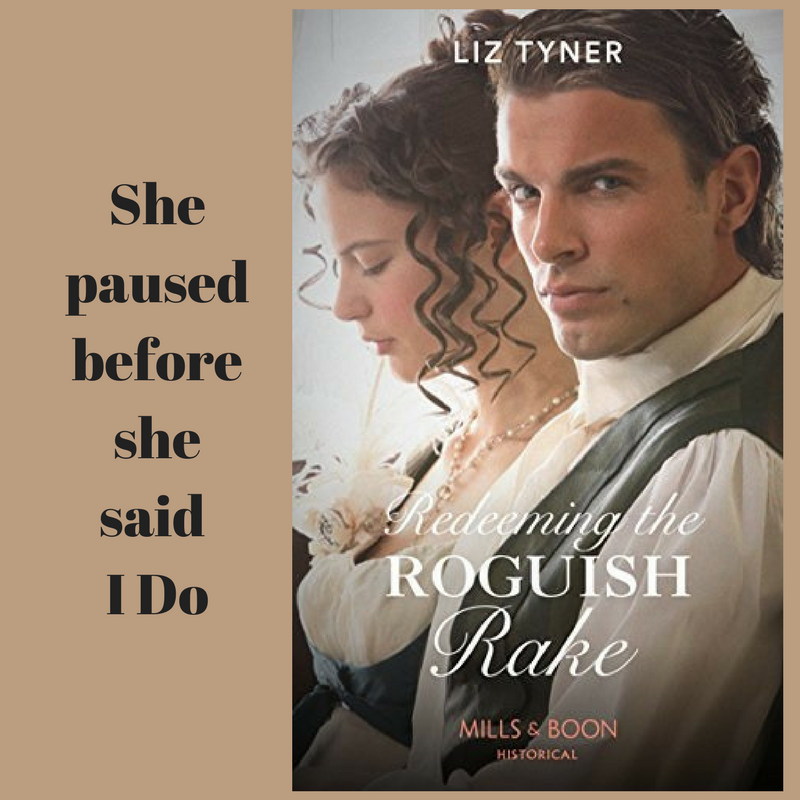 The cleft in his chin worked perfectly for the remnants of his attack in Redeeming the Roguish Rake. Thumps sounded on the stairs outside the bedchamber. Foxworthy sat straight, covers falling to his waist, just as the door swung open. He looked at the visitor’s hands first. No weapons. He raised his glance to his cousin’s face. Andrew wore one of those grim-lipped spectacled looks even though he didn’t wear spectacles. ‘If so, that’s your only virtue and it’s one more than you had last week.’ Andrew paused. Foxworthy nodded his head. ‘A priceless moment I will not forget.’ And he doubted anyone would let him from the look on his cousin’s face. However, at the moment, he simply could not recall it. He’d danced a lot at the soirée—that he remembered. He’d decided to take a turn with every woman in attendance and in the short time of the dance, discover what was most endearing about her. Then Lady Havisham, all of elbow high to him and feisty as a tavern wench, had told him she could drink more than he. Since he’d started much earlier than her it was a difficult competition. She’d conceded defeat and he’d placed a kiss right on the top of the knot of her grey hair and she’d said she wished she had a grandson just like him, only smart and handsome. ‘You don’t remember?’ Andrew snorted. He kicked the base of the bedpost, but the frame didn’t move. ‘You don’t remember? ‘Not at the moment.’ Fox pushed himself from the bed. Pain shot through his knee. He moved to the mirror, favouring the leg. Fox smiled, remembering. ‘Yes. It was quite romantic. I only wished I’d had a red rose, but the proposal was unplanned.’ And he was going to pay for the rather dramatic crash to one knee. It played to the group well, but he wasn’t sure if the pain was worth it. Andrew moved closer, eyes tightened. He expected an answer. ‘How many times now have you publicly proposed to a married woman?’ Andrew repeated, voice rising.